Back to School is already here! Lazy summer days are gone and it’s time to get back into the school routine. 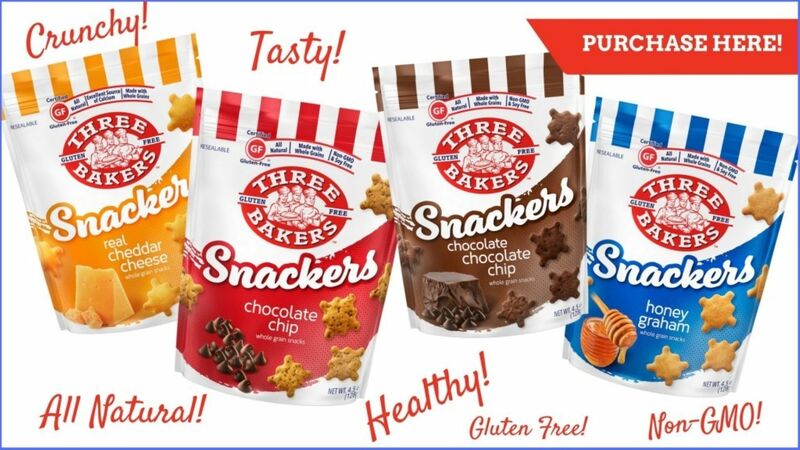 After a long day at school, kids are sure to come home hungry and Three Baker’s Snackers are the perfect after-school snack. 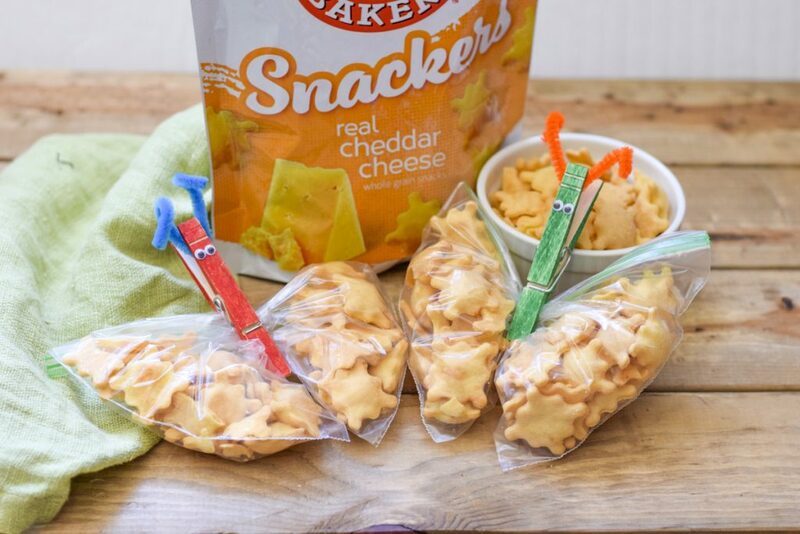 Of course, you can always eat snackers by themselves, but they are perfect for some easy to make snacks that will get your kiddos excited! This is one of my toddler’s favorites! Take a clothespin and color it with a marker (you can use paint, but a marker is so much faster! ), add some wiggly eyes and pipe cleaner antennae. Add Three Baker’s Snackers to a Ziploc and push them to each side to form wings. Use the clothespin in the middle for the body and you have an adorable butterfly! Cut an apple round and take out the middle seed part (an icing tip works great for this, just use the round part and stamp it out). Cover the apple in nut or nut-free butter, based on your child’s allergies. Use Three Baker’s Snackers to create petals and add some chocolate candies for the middle! 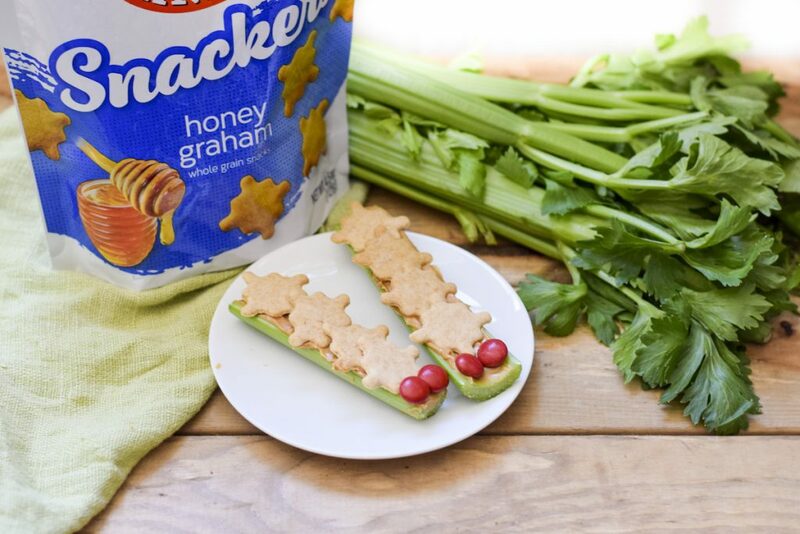 This snack is so simple, but little ones will love this. Take half a banana and slice it. 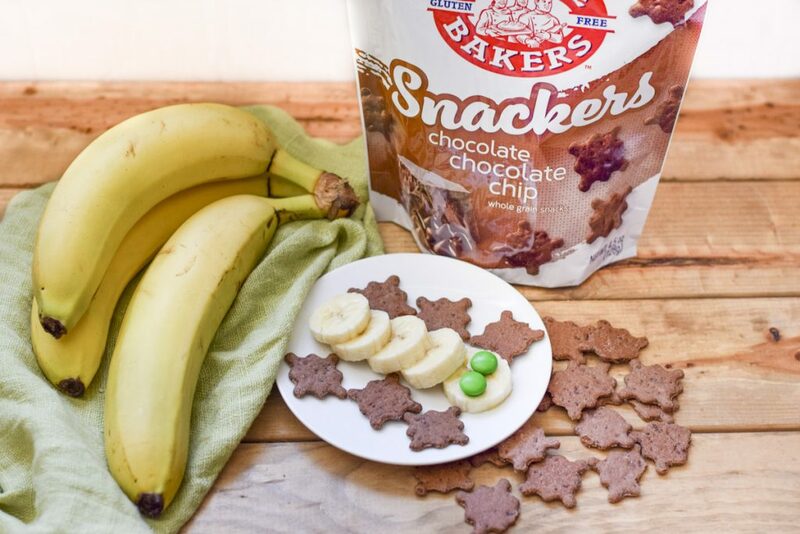 Give your little one Three Baker’s Snackers to add as feet and two chocolate candies for eyes. So cute, and so yummy! This is a fun play on Ants on a Log. Take a piece of celery and add your favorite nut or no-nut butter. Use snackers to form the body and add chocolate candy for eyes. Celery has never tasted so good! My toddler loves when we make fun snacks. It breaks up our afternoon and she can help make them, which makes her even happier. 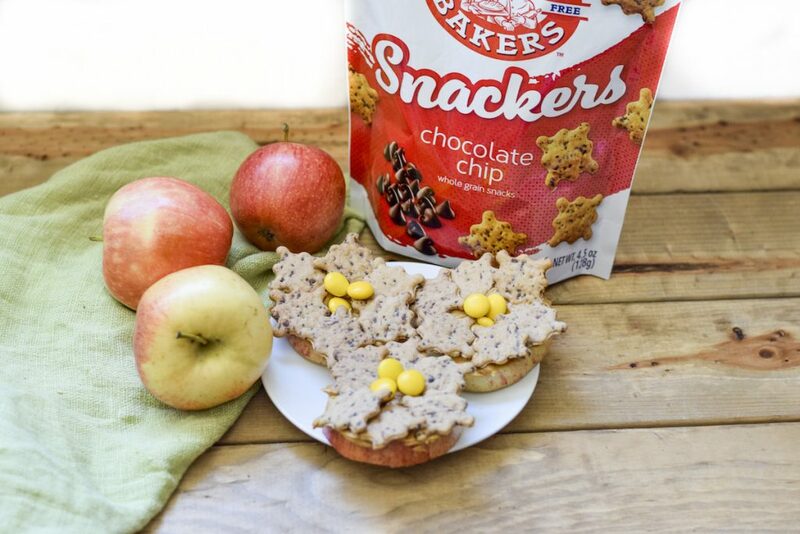 We have so much fun with our Three Baker’s Snackers creations. 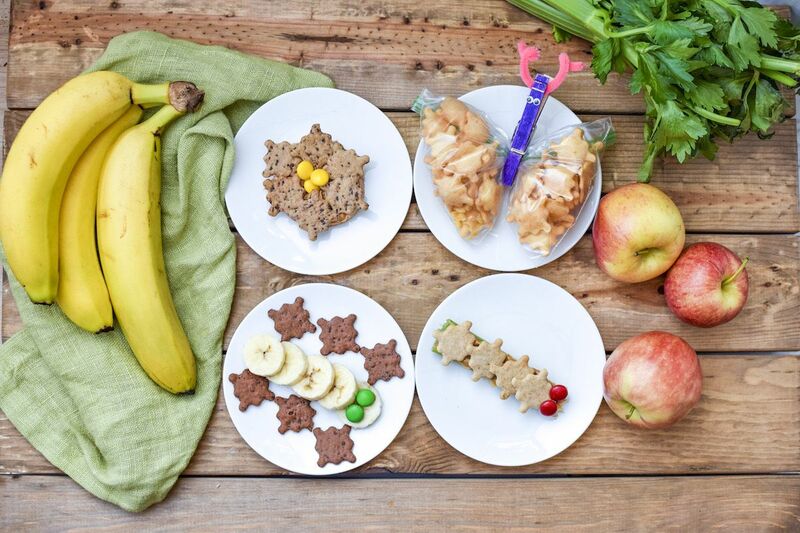 What do you like to do to encourage snack time fun? Several years ago I was diagnosed with Celiac Disease, which requires a strict gluten-free diet, it’s hard, but you CAN live gluten-free and not feel like your missing out! Follow along here at on my website at https://eatatourtable.com for all my recipes, tips and tricks for living gluten-free.